Is anyone else's most used bag also their work bag? Mine is (are)! I typically rotate between two handbags, one of which is the Tory Burch 'Perry' tote and the other is similar one from Zara. I love the ease and capacity that these totes have: perfect for tossing in what you need and then being on your way. However, I've been wanting something with a little more structure and more polish. 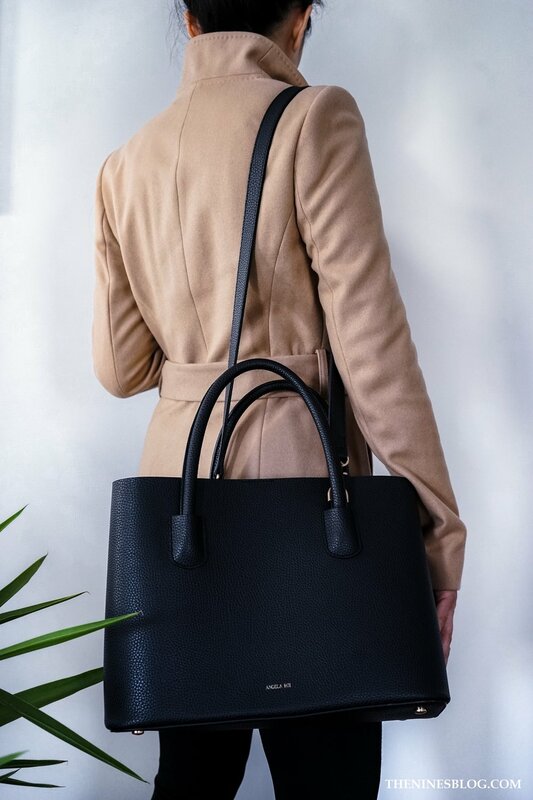 Enter the Angela Roi Cher tote in black. The first thing that caught my eye was the classic style and shape. It has elegantly sloped lines that form a rectangular shape but isn't overly boxy. The tote's dimensions measure 13.5" x 10" x 7" and comes with a matching leather strap that drops 19.5". It not only looks professional but is is very functional. Like many women, I have a default number of items that I carry with me on a daily basis. The most important being a laptop. Luckily, it is the perfect size to hold my Samsung Notebook 9 Pro 15" (which is comparable to the size of a Macbook Pro 15" laptop). My computer slides in and out without any hassle and can likely accommodate a thin laptop sleeve too. 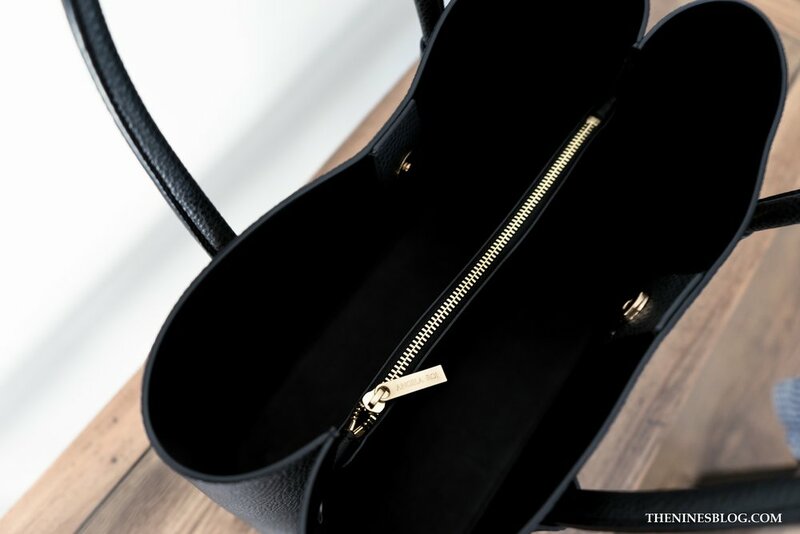 The bag is divided into two generously sized sections. The center pocket has a zipper and is an ideal place for small knick knacks that you don't want to dig for. There is also a magnetic closure at the top that keeps the bag together for some privacy/security. I've been using the Cher tote for about 2 months now and I love it! If you're a Bostonian that takes the T (like me!) or use public transportation, then this bag is a great option. It will stand up to being jostled, smushed, and bumped into during rush hour. A quick wipe with damp towel will take care of any spills. This handbag was truly created with life in mind! 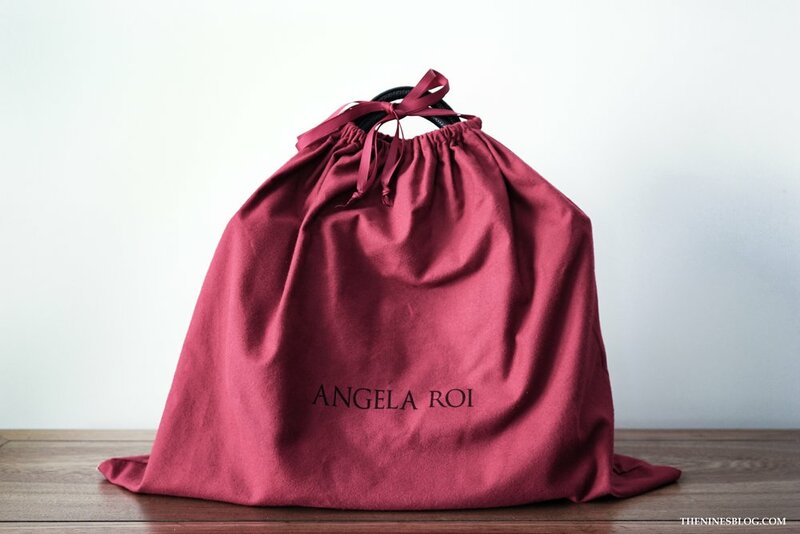 The Angela Roi Cher Tote retails for $240. Do you have this handbag? I would love to hear your experience with it in the comments section. Or feel free to ask questions. Hi, I'm Amy. Welcome to my Blog.